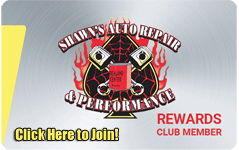 Shawn's Auto Repair and Performance is a full-service auto repair and preventative maintenance facility specializing in import and foreign vehicle repairs. Our experts have the knowledge and experience to service and repair the most challenging import and foreign vehicles. For questions about your import or foreign vehicle, contact us at 608-649-2886 or send us an email. Our experts will help determine what needs to be done.